Click the button for the desired strategy type. Alternatively, you can press and hold the Ctrl key to enter spread building mode. 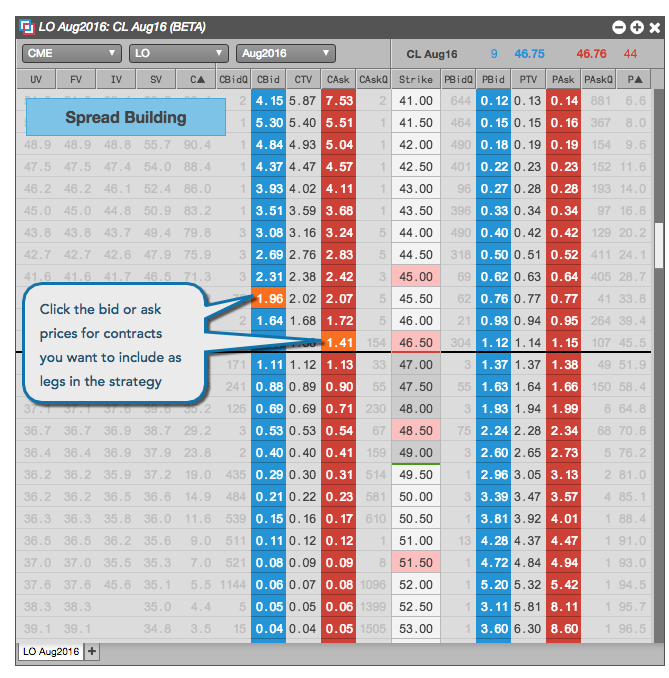 Specify the legs of the strategy by clicking a Bid price for the desired options contract to add a buy leg to the strategy or clicking an Ask price to add a sell leg to the strategy. 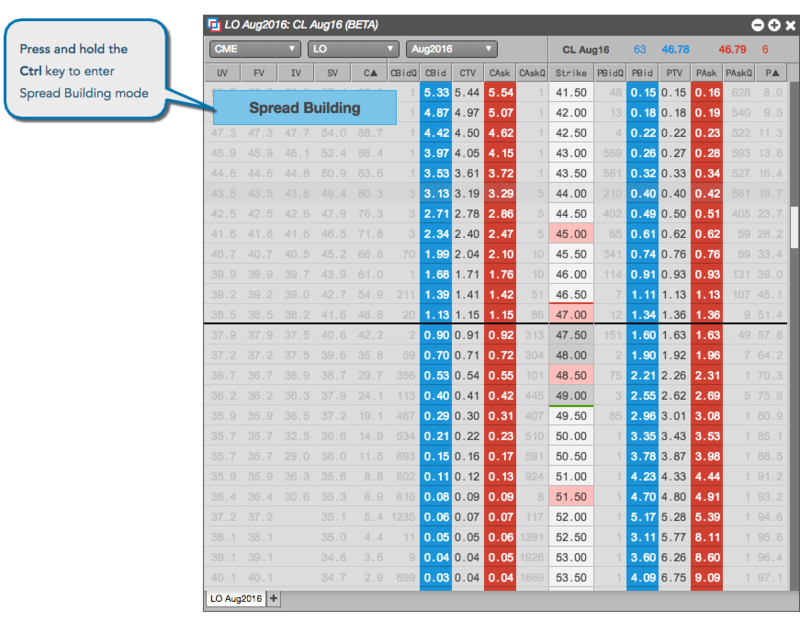 From the Options Chain, you can create a synthetic options spread as a user-defined strategy in the Strategy Creation widget. These spreads can be published to the market by the exchange and made available from trading in the current trading session. Press and hold the Ctrl key (control or command key for Mac OS) to enter spread building mode. Click a Bid price to add for the desired options contract to add a buy leg to the strategy, or click an Ask price to add a sell leg to the strategy. Multiple clicks on a bid/ask contract increments the ratio/quantity of that leg of the strategy. Note: If you left-click or right-click on a price in the Strike column, the legs for a straddle strategy are automatically selected. The Strategy Creation widget opens seeded with the options contracts, ratio, and buy/sell direction for each options leg.